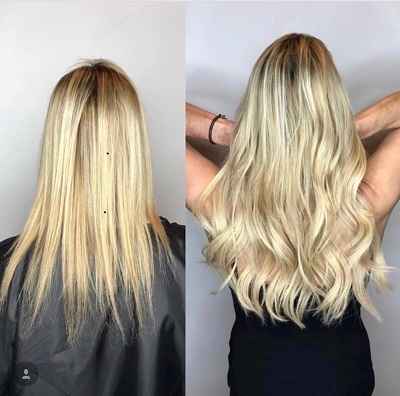 These hair extensions are attached through a specially formulated tape strip placed on a weft of extension hairs allowing it to bond to the natural hair. Tape in Hair Extensions can be applied to most hair. The natural look of our hair extensions are professionally applied by certified hair professionals. Hair extensions can be colored to match any color of hair. Tape in hair extensions are reusable and made from high quality human hair. Extensions come pre-taped requiring no additional adhesives or weaving. Tape-in Extensions can be reused for up to three times. Looking for recommendations on what you can do to your hair with Tape in Extensions? Schedule a consultation with one of our hair extension experts. Are Tape in Extension Real Hair? YES! At Avant-Garde Salon and Spa, we use REMI Hair - 100% REAL Hair. Avant-Garde Salon uses the best quality real hair available, offering many colors and variations to match most hair. 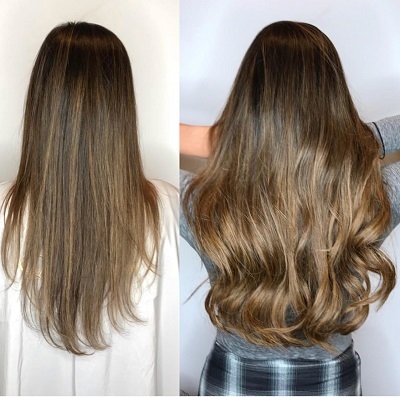 How long do semi-permanent Tape-in Extensions last? As in all things in life, the better you take care of it the longer it will last. Tape in Hair Extensions last on average from 6 to 8 weeks and can be re-used 3 times. 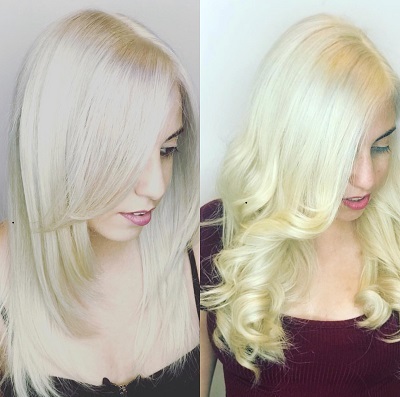 Can I color or add highlights to my Tape-in hair extensions?